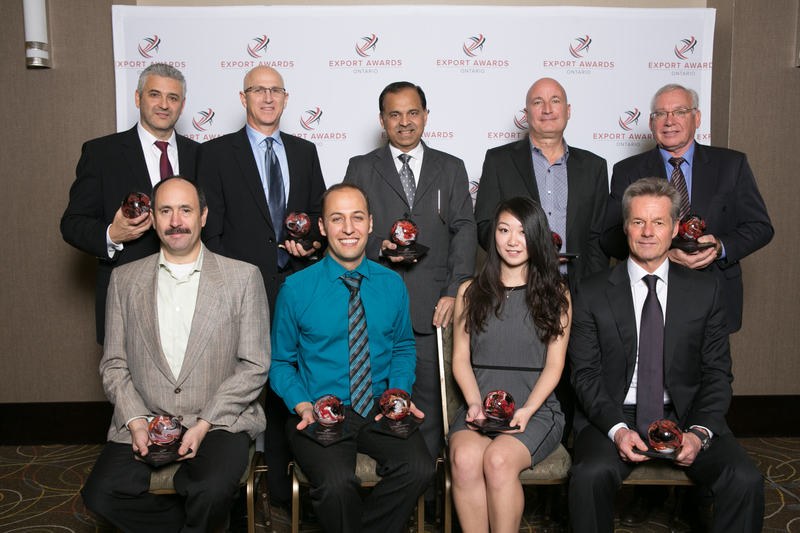 2014 Ontario Export Award Winners Announced! View the latest Media Coverage here. TORONTO—Aeryon Labs Inc. was named Ontario’s Exporter of the Year Nov. 25 at the inaugural Ontario Export Awards. The manufacturer of small unmanned aerial vehicles commonly known as “drones” also won the award for Consumer Products & Technology. The Ontario Export Awards—the province’s most prestigious awards paying tribute to the success and innovative approaches of Ontario export companies—recognized top exporting companies in Ontario with awards in 10 categories. The awards are a celebration of the contributions exporters have made to both the provincial and national economy. There was plenty of innovation on tap, with 26 companies vying for nine category awards. The finalists—all of which were small or medium-sized businesses— represented industries across Ontario’s goods-producing and services sectors. Emerging Exporter: Mirus International Inc. in Brampton, Ont. Clean Technology: Nuform Building Technologies Inc. in Woodbridge, Ont. Consumer Products & Technology: Aeryon Labs Inc. in Waterloo, Ont. Food, Beverage & Agriculture: Jaylor Fabricating Inc. in East Garafraxa, Ont. Value-Added Manufactured Goods: Mircom Group of Companies in Vaughn, Ont. Leadership: Christie Digital Systems Canada Inc. in Kitchener, Ont. “As the organizer of the Ontario Export Awards, Business Information Group couldn’t be more pleased to have the opportunity to recognize and celebrate some of the province’s top exporters,” said Tim Dimopoulos, executive publisher with Business Information Group. The 2014 Ontario Export Awards were organized with the support of Canadian Manufacturers & Exporters (CME), Canada’s largest trade and industry association, and was sponsored by HSBC Bank Canada, UPS, Lincoln Electric Co. of Canada, Buffalo Niagara Enterprise and Port of Montreal.